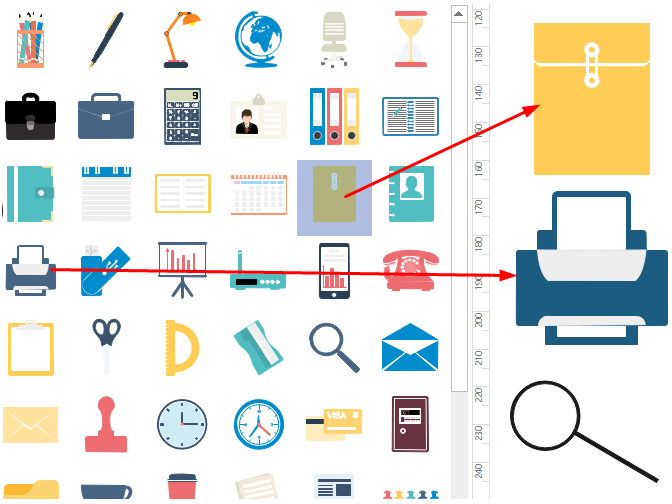 Want to create office infographics quickly? Follow this step-by-step guide and create your office infographics within several mouse clicks. Edraw Infographic - Makes Office Infographics Easily and Quickly. Edraw infographic is one of the most professional infographic makers to create office infographics because of its handy features that other programs hard to compare with. 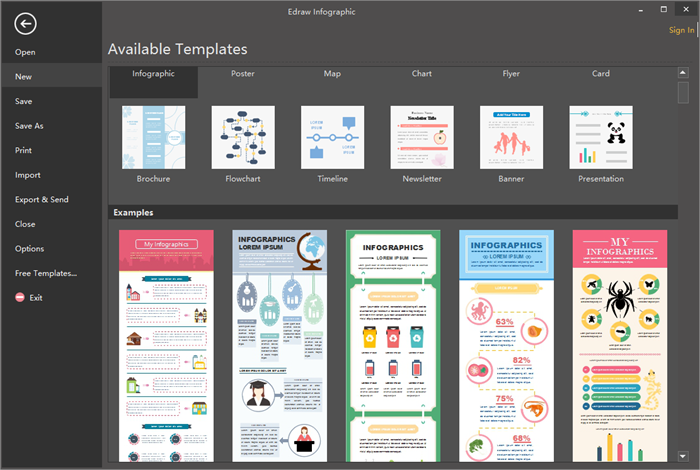 It simplifies the office infographics drawing process by providing numerous visual infographic elements & examples and all the symbols and templates are editable. Users can create their office infographics on the basis of the premade templates, thus the drawing process can’t be easier! Follow below detailed steps to create office infographics, then you will find the drawing process is much more effortless than you think with the help of Edraw Infographic. Start Edraw Infographic, navigate to File menu, click New > Infographics to open a new infographic drawing page. Drag office symbols from left libraries and drop on the drawing page. All the symbols are editable, you can change the colors, sizes and directions to meet different situations. And if you do not like the built-in symbols, you can also create your own symbols with pen or pencil too. Go to Home Page and click Text to type in key contents, then finish typing by clicking any blank area on the page. 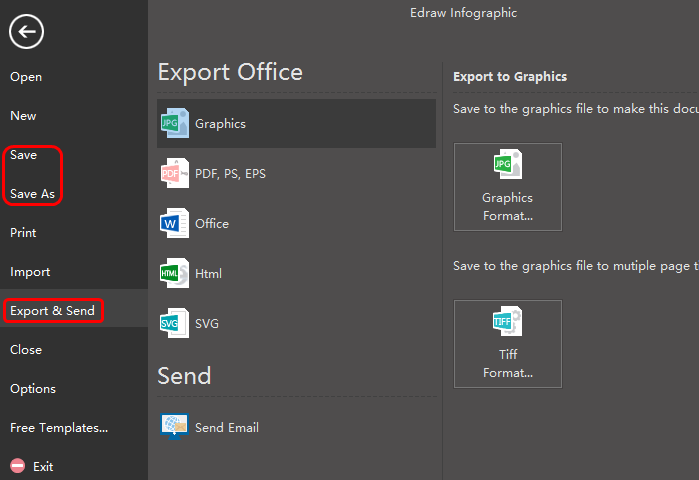 Users can click Save on File tab to save the office infographics as the default .eddx format; for convenient share, users can also select Export & Send under File to export the infographics to any formats that convenient to share, such as Word, PPT, PDF, images or even Visio is supported. Except for office infographics, Edraw Infographic can also create many other kinds of infographics,such as fashion infographics, animal infographics, news infographics, music infographics, transportation infographics and so on. Following are some of infographics templates for your reference.